Marking his 44th year as audio professional, Bob Katz has recorded and mastered three Grammy-winning albums and several nominees. He masters all styles of music as president and mastering engineer of Digital Domain, Orlando, FL. 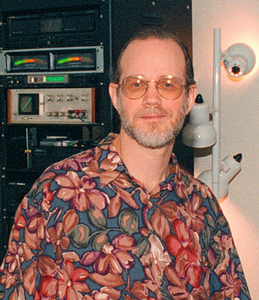 In 1988, Bob became Technical Supervisor and recording engineer for audiophile label Chesky Records. He produced the world's first commercial oversampled recordings with his own implementation of the DBX ADC. His recordings for Chesky used minimalist miking, were acclaimed for their balance, depth, clarity and purity of tone. In 1997, he recorded the first 96 kHz/24-bit audio-only DVD for Chesky. Bob was Workshops Chairman of the 74th Convention, Facilities Chair of the 79th, and chaired the 1994 NY Section. His book “Mastering Audio: The Art and the Science”, in its third edition, has been translated to Chinese, German and Spanish. “iTunes Music: Mastering High Resolution Audio Delivery”, was released in 2013. He has also written numerous articles and presented many seminars. He created several digital audio products and has invented, patented and licensed the K-Stereo and K-Surround Processes.